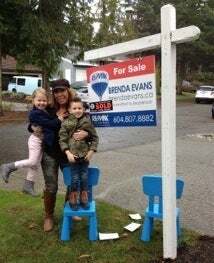 Located in the Fraser Valley, Brenda continues to keep close touch with market activity in the areas of Abbotsford,Langley, Mission, Chilliwack,Surrey, Pitt Meadows and Maple Ridge. Diligent and hard working, honest and committed to excellence, Brenda establishes a good report with her clients based on mutual trust and respect. While handling the myriad of details that go into a successful real estate transaction, Brenda keeps her clients informed every step of the way and looks forward to working alongside you…helping you and your family realize their dream of home ownership. Are you planning on selling and/or buying? Give Brenda a call for a smooth and exciting real estate experience. "Brenda is extremely personable and an absolute delight to work with! Her knowledge of the real estate market, commitment to excellence, and ongoing follow-up was a key factor in my decision to have her list the home that she originally had assisted with as my buying agent. Thanks Brenda for your professionalism and competence."